Hundreds of building equipment, controls and software vendors descended on a sleepy resort in Tampa last week with a simple goal: solving the interoperability challenge facing the Internet of Things. To be fair, Haystack Connect’s stated purpose is enhancing data fluidity and freedom with an open source metadata framework that allows building stakeholders to unlock new value from networked devices and equipment. Don’t be fooled: Project Haystack will accomplish far more than this, and the companies that came together in Tampa know it. Excitement was in the air at the bi-annual gathering of Project Haystack supporters. If the mood of 2013’s Connect was one of “I’m curious” and 2015’s was “I’m interested,” the vibe at 2017 was unmistakably “I’m ready.” The organizers and vendors I spoke with made clear that they have moved beyond simple excitement over the vision that Project Haystack paints. Equipment and controls manufacturers, software vendors and systems integrators are today creating value for themselves and clients with the framework. Intel’s recent announcement that they were joining the organization as a Founding Member further validates the feeling that this framework is ready to extend the open-source standard throughout the buildings market and beyond. Those of us who don’t work in the buildings industry might tend to overlook that the built environments in which we spend much of our lives are in fact highly engineered systems that are designed, developed, operated and maintained by a variety of players. As digitization has pervaded every other aspect of our lives, so too has it commandeered buildings. Networked sensors, devices and systems throughout buildings now feed data to analytics tools designed to enhance the efficiency of operations and the services offered to tenants. However, the variety and fragmented nature of the buildings suppliers landscape challenges the ability of any supplier to deliver a valuable, seamless experience to end users. Central to this challenge is that systems from different vendors describe data in different ways. Semantic data models, as they are known in the digital world, provide standardized ways of describing where data was generated and what information it contains. This data about the data, or “metadata,” make it far easier for various users to create value from data through visualization and analytics tools. This year’s Connect was abuzz because the firms supporting Project Haystack are actively taking advantage of the benefits offered by open, common metadata conventions to meet rising end customer expectations. Building operators and end users have come to expect a high level of service offered via tightly integrated systems – such as phones or cars – from the loosely integrated building spaces that they manage and occupy. As they expand in depth, end user demands expand also in breadth. Low-cost, wirelessly-networked sensors and actuators are giving building operators unprecedented visibility and control over everything from lighting to access systems, air distribution to network management. 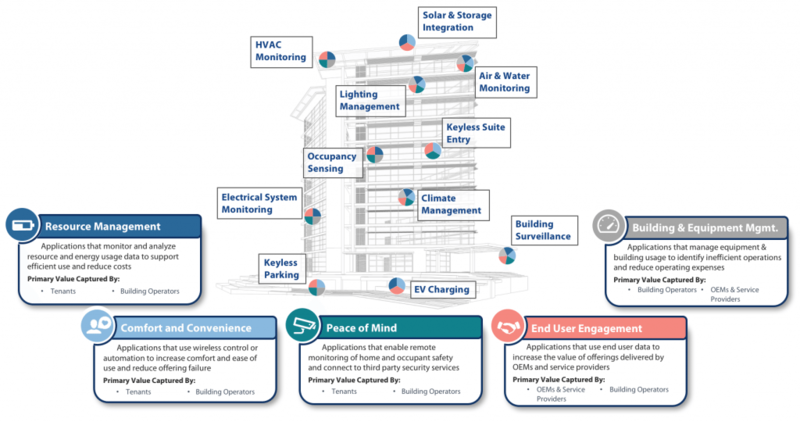 Operators demand integrated control of this expanding suite of connected systems, seeking a single dashboard for managing building system efficiency as well as building tenant comfort and peace of mind. Equipment and controls manufacturers like KMC and Contemporary Controls proudly advertised the ease with which software partners utilize data generated from their offerings in advanced analytic tools to identify new opportunities for value creation. Software players like J2 Innovations, Kodaro and SkyFoundry detailed how Haystack is allowing them to spend less time cleaning and formatting data sets, freeing them to focus on visualization and analytics and reducing the overall cost of providing these value-adding services. Systems integrators related the ease with which they can now to deploy disaggregated offerings that utilize vendor-agnostic, Haystack-consistent data. By delivering the services that end users truly demand rather than complex, expensive packages of services, solutions providers like Lynxspring, Activelogix and Altura are able to provide a better end user experience at lower cost. These shifts are enabling vendors to not only offer a broader set of solutions for large commercial buildings, but also serve the small commercial and multifamily residential markets where the costs of holistic building automation systems have traditionally been prohibitive. Haystack is not only changing the way that buildings stakeholders operate, but also how they co-operate. The open framework is providing the foundation for the formation of multi-vendor ecosystems, in which flexible and tailored offerings can be delivered to end users at far lower cost than the aggregated services traditionally delivered by building automation vendors. Guess who doesn’t love that? As IoT systems pervade buildings, data interoperability is critical to creating value without complexity. The building automation space has been dominated by a few names for two decades – Honeywell, Johnson Controls, Siemens and Schneider Electric together control about 30% of the global market. Global HVAC and lighting controls companies leveraged the massive energy draw of their equipment (about 1/3rd of US energy consumption is in commercial buildings) as the basis for delivering control and automation services to customers. Bundled equipment, software and services contracts have been sold to major buildings customers via a largely unchanged model since automation reached the buildings venue. Central to this model is the control of information generated by building equipment, ensuring that vendors alone are able to deliver services atop of their hardware. It is thus understandable that these players have been dragging their feet through every push towards standardization that the industry has experienced. I received an earful on the tactics that the major automation vendors have deployed to avoid providing customers with choice as open standards emerged at various layers of the technology stack. Initially, the vendor moat was protected by proprietary communications protocols, which limited equipment communications to the vendors alone. The industry began converging around BACnet in the mid-90’s, standardizing how equipment shared data. End user demand then drove the development of the Niagara Framework, providing a standardized front-end for managing diverse building systems and equipment. Is it likely that the shift towards a standard metadata model would see incumbents taking a different approach? The sentiment at Connect was an overwhelming no. Even as end users increasingly demand choice, these firms are too entrenched, and continue to make too much money, to relinquish control over information from their industry-leading equipment. The buildings automation pie is continuing to grow, and even if their share is being nibbled into by equipment and software vendors embracing openness, their appetite continues to be satisfied. The million-dollar question, of course, is how long they can be sustained by this strategy. 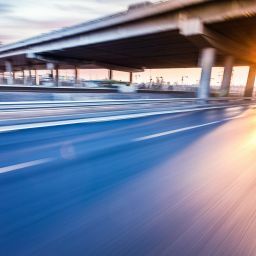 Steadfastly clinging to the status quo isn’t exactly a recipe for success in a rapidly evolving space where digitization is redrawing the competitive landscape. Based on my discussions last week, there seem to be two routes forward for leading incumbents. The resolution required to abandon the fat margins offered by equipment + software + services packages and restructure existing business structures leads to a maintenance of existing strategy. Customers continue to be locked into contracts that restrict data freedom and limit end user choice in the services they can use. Evolving end user priorities make the value prop of this model decreasingly valuable. 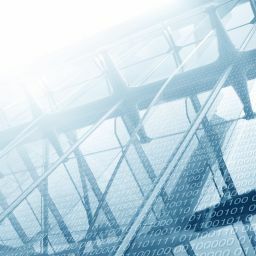 Demands for integration of a growing suite of building IoT systems and services that extend beyond the offerings of incumbents are encouraging users to look for workarounds. 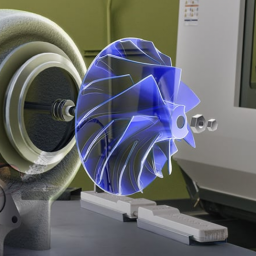 Increasing awareness of toolsets that leverage advanced analytics and machine learning to deliver new and continuously improving services is opening the eyes of end users to the value that agile software vendors can offer. When offerings from these vendors capture data from incumbent hardware and deliver greater value than do the services provided with the equipment itself, the value of the equipment + software + services package diminishes. Incumbents faced with this dwindling value begin to cut their losses, relinquishing control over lower-margin customer segments and retreating up-market. Tier 2 controls and equipment manufacturers that have prioritized openness evolve out of smaller markets into the newly vacated niches. Agile ecosystems involving multiple manufacturers as well as systems integrators and analytics vendors deliver seamless, personalized building automation services to end users at a fraction of the cost that clunky packages from a single vendor would demand. The democratization of data that occurs from a convergence around a metadata standard unleashes a wave of software innovation that commoditizes the underlying hardware. When the trajectory of early-adopters and innovators catches up to incumbents who have retreated up-market, incumbents will find themselves in a competitive landscape that they hardly recognize and in which they cannot compete. Of course, it doesn’t have to play out like this. Incumbents recognize the opportunity to leverage their market-leading position and core strengths to differentiate amongst their top competitors by embracing openness. Recognizing that their central value-add to end customers is in providing exceptional equipment and maintenance, these firms shift their strategies to prioritize ease of data access and usability. Though the differentiating value of their equipment inevitably diminishes, the global installed base and brand recognition these firms enjoy continue to serve as invaluable channel criteria. The position of these incumbents in the buildings value chain make them extremely attractive partners for leading SIs, data management and analytics players. Proactive adaptation to an industry shift towards openness thus positions incumbents to control the same ecosystems that might otherwise displace them. If history is to be our guide, proactivity is not to be expected. The incentive for adaptation is high: revenue from Smart Buildings Systems is forecast to grow from $19.2B in 2017 to over $130B by 2023. Rising expectations and awareness of alternatives to the top incumbent players threaten to leave players who fail to adapt with a smaller and smaller piece of a rapidly growing pie. Project Haystack is laying the foundation for a wave of substantial disruption in the building automation and control market. The framework’s potential, and the desire of the attendees of Haystack Connect, is even more ambitious. Intel joining Haystack as a Founding Member in March of this year, earning them a seat on the organization’s Board of Directors, has created a wave of validation for the framework both within the community and beyond. The time for the standardized metadata model to be deployed at scale, to create new opportunities for suppliers and generate new value for end users across the buildings market, has arrived. Intel’s involvement will not only increase end user awareness of and demand for Haystack-compliant solutions, but also encourage other standards bodies to explore integration with the framework to accelerate data interoperability across verticals. Capturing the true value of the IoT and opening the opportunity it presents to an inclusive group of participants demands that data be fluid and free to be fused in creative combinations. Without a common convention for metadata, this will never be achieved. If Haystack can continue to grow and prove value at the pace it has within buildings, it will soon extend outside of them and unleash the cross-vertical value creation that is central to maximizing the IoT opportunity.